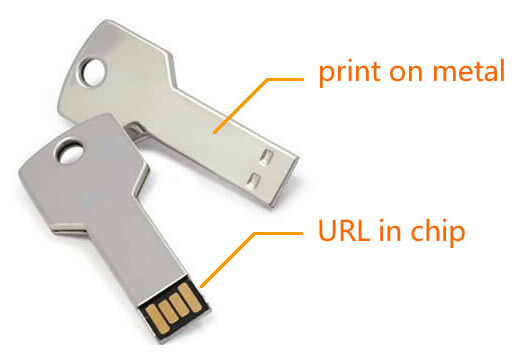 The USB metal webkey provides a simple way to store specific website, which enable end users to launch specific URL without error. We choose very solid metal material key shape holder to make such webkey. On the metal, we can silk print Company logo, Phone number, Contact person, Slogan, or many more other promo ideas.